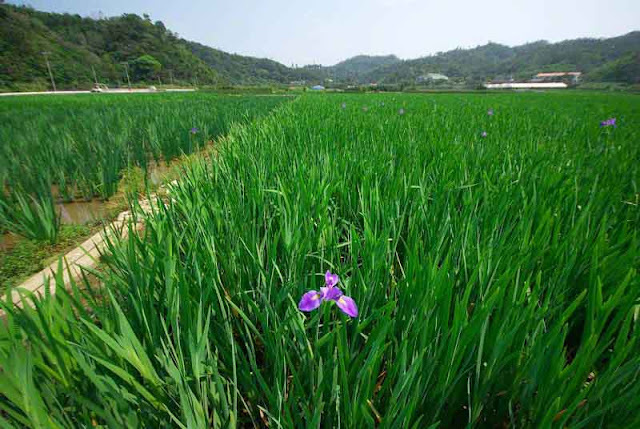 The 2013 Iris Season is coming to Okinawa, Japan any day now. Today, we were up in Ogimi to see if any iris plants were blooming. Don't pack your bags and hurry over here, though. This is all you'll see if you get in too much of a rush. A local farmer, I talked to told me the Iris Festival won't be for another two weeks, or so. This could be considered my first Iris Report for the year. What I'll probably do is, go back and checkup on the flowers, once a week. That way everybody will know when those fields turn into a sea of purple. It's always best, to get up there with a camera before busloads of tourists arrive. And wear good walking shoes, not flip-flops. 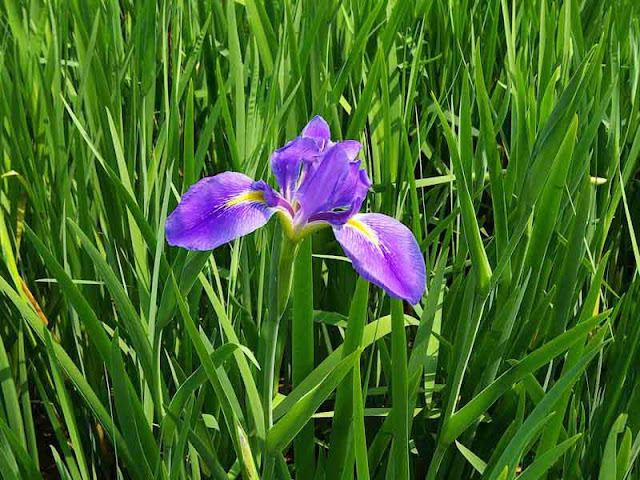 When I went to take that first photo of a single iris, I slipped into the mud, up to my ankles. It's pretty hard to get flip-flops out of the muck without breaking them. My right flip-flop made a noise like, "Shhhhrecccccckkkkkkk" when I tried to pull my foot loose. And, I said something like, "Gosh dang it." Going to eat and do a review on a real fancy restaurant, after the iris field, I felt like a real clod. There was mud all over my feet and trousers. So, I sat where nobody would notice. The next time I go up to checkout the iris plants, I think I'll wear shoes.